Every missionary effort is comprised of at least two essential areas for consideration: the praxis of mission and the theology that undergirds and informs it. My own assumptions are pretty obvious in that statement: theology informs and shapes practice (or proper thinking about God and his mission leads to appropriate doing of his mission). There is a growing debate within our community: the Insider Movements(1). Should converts remain within Islam as Muslims who love Jesus in order to facilitate a contextualized gospel witness? It is this debate I address in this paper(2). Let me state at the beginning, I place myself squarely among the Historical practitioners or missionaries to Islam (see below for the explanation of how I use the word). That said, I know and respect non-Historicalists (IMers) and at times even sympathize with some of their assertions and complaints about the missionary endeavor to Muslims. My purpose for this paper is clarity rather than persuasion. I want to make clear what I believe the real debate is about while simultaneously offering several observations about the nature of either side’s biases. I have attempted to represent the debate pictorially, again with the hopes of clarifying rather than polarizing what is often a cantankerous argument between brothers and sisters. I am sure there will be legitimate criticism of my observations by both camps. For the sake of this paper, the praxis of mission, its methodology, is comprised of at least two polar opposites: pragmatism and kerygmatism. Let me state from the beginning that I realize the sweeping generalizations I am making will probably apply to none of the readers. That is the nature of a generalization and more precisely the polar opposites I am describing. How am I using this dyad of opposition? The pragmatism at the extreme end of the spectrum is not focused on understanding the role of a faithful witness, but the results of any type of witness regardless the cost, the misapplication of Scripture or ethical concerns. The pragmatist is concerned with results because the Church’s results among Muslims have been meager until now, so the results justify the methodology. For the sake of clarity: this is a position I am sure no IM missionary takes. Virtually all find biblical reasons for their methodology rather than pragmatism. At the other end of pragmatism is a complete lack of concern for results: kerygmatism. This end of the spectrum is focused on methodology that is first and foremost biblical; that is, it’s deemed as being derived from the Scriptures rather than the social sciences. Anthropology, sociology, psychology or any other social science has no role in missions. The results are left in God’s hands. We must be faithful, the kerygmatist says, and God will do what he will do. This is kerygmatism: the belief that all one needs to do is proclaim the message and however it is proclaimed God brings the results. The problem with this end of the spectrum is its naÃ¯vetÃ©. The kerygmatist does not consider the role of the audience or the messenger/proclaimer in the act of communication. The key to evangelism is the message and truth; nothing else matters. The audience is not even considered as relevant. This far end of the spectrum is a simplistic understanding of kerygma, the proclamation of the Gospel of the Kingdom of God. And again for the sake of clarity, there are no Historicals who take this position, but it is given as the polar opposite to pragmatism. In Chart 1 the vertical axis represents this spectrum of methodology. To be redundant, there are few (if any) missionaries who are at either end of the spectrum. It is the rare Evangelical missionary who either a) does not base his methodology on the Bible(4) or b) employ some social science concepts in ministry among Muslims. Again, if the missionary’s methodology is at the most extreme end of pragmatism, that missionary is biblically illiterate. Should the missionary’s methodology reach the opposite extreme of kerygmatism, that methodology is simplistic legalism. Why do I place the IM high on the methodology axis towards pragmatism? 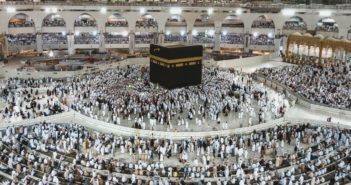 It may be pragmatic for the new believer to continue to repeat the shahada 17 times a day while performing salat and remaining within the mosque and Islamic community. (5) It may be pragmatic for the biblical references of Jesus as “Son” to be translated as “Messiah” and the “Father” to be “Lord.” The pragmatic approach only requires the success of the Muslim becoming a “Messianic Muslim” or a “Muslim follower of Jesus.”(6) If all this keeps the new believer inside the Islamic community as a contextualized witness to new life in Jesus, it is deemed legitimate. The horizontal axis of Chart 2 reflects the second area of discussion: theology. As I’ve read the works of proponents and detractors of IM, it appears this theological spectrum is mostly about a theology of religions, which poses the question, “What is the nature of Islam?” Once again I am emphasizing only the most extreme answers to the question. I want to speak in generalities before specifics. One is said to have an optimistic view of Islam if the religion is seen as one of many others through which God can work; in fact, it is a religion that God is able to redeem or reform from the inside out. The implication is that Islam is not as bad as any other religion; it’s simply another man-made attempt to reach the Creator. The polar opposite of this is pessimism: Islam is a false religion, having no intrinsic value. Islam is a counterfeit of Satan. The missionary cannot find anything of value within Islam for the proclamation of the gospel; it must be condemned and avoided at the same time. With the understanding that both positions are spectra, Chart 3 depicts my understanding of the Insiders Movements continuum (IM) and the Historical continuum (H). The former tends to move toward a methodology that is more pragmatic supported by an optimistic theology of religions, both of which are pulled by some social science assumptions and conclusions. The latter finds its home more towards a methodology that is not pragmatic, and a pessimistic theology of religions. The Historical approach is much less reliant on social science or perhaps stated more clearly, social sciences are employed only as they are critiqued by a biblical worldview. The overlapping of the Historical spectrum into the pragmatic and optimistic is meant to reflect the sympathetic understanding many proponents of the Historical perspective take, especially towards the area of methodology (and perhaps reflecting the tension between C4 and C5). There are at least three things I hope to illustrate with this chart. 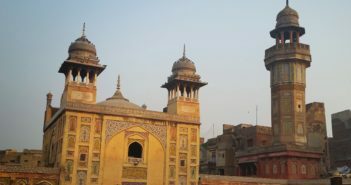 First, both the IM and Historical approaches to Islam are spectra rather than monolithic. It does service to no one to think any one given point along both axes is IM or is the Historical method. There are a variety of views, perhaps as many as there are missionaries! We must not hold over our heads like a trophy bagged by a hunter the most extreme example of either position. The fact that both positions are a continuum means our responses and criticisms must be thoughtful, measured and nuanced. Secondly, while we may disagree on our methodologies and theologies, there are points of commonality between the two spectra. We share a common theology at the most basic level. (8) We also share methodologies since we all contextualize to some degree or other. And both IM and Historicals claim to build their methodologies from a Scriptural basis. (9) So where’s the rub? – The IMers believe the theology of the Historicals is bound to the past (a past hallmarked by extraction and failure) and lacks a real understanding of Jesus’ own methodology. – Historicals believe IMers are blind to the insidious nature of Islam, which negatively affects their methodology. Thirdly, the chart is meant to show what I believe the ideal methodology is (in principle only, not specifics). The polar opposites of pragmatism and kerygmatism juxtaposed to optimism and pessimism – none of which are ideal (am I being a pragmatist here?) – are found in few, if any, missionaries. The goal of every missionary is to have a proper, biblically oriented methodology that is soundly integrated by a biblical theology of missions. (12) Thus, both approaches believe they are avoiding extremes. The Historical approach relies first and foremost upon biblical principles; viz., the darkness of false religion and the importance of seeing conversion as both a turning to (Christ) and a turning from (the past, the former things, including one’s religious experience). The Historical methodology is critical of Islam: nothing within Islam is redeemable – bridgeable, yes, but reformable, absolutely not. The Historical practitioner understands the dark and Satanic nature of Islam; that it has a hold on its adherents; that there is a spiritual battle that must be waged in order to bring people out of Islam. And if all this is true about Islam, how can we ask new believers to “remain” in it? 1) Kevin Higgins provides a definition for the Insider Movements: “As I use it, the phrase “Insider Movements” encompasses not only these earlier descriptions of people movements but adds “religion” to the above list of aspects of “togetherness” or unity. In other words, I suggest that followers of Jesus can continue to embrace at least some of their people’s religious life, history, and practice without compromising the gospel or falling into syncretism.” “The Key to Insider Movements: The ‘Devoteds’ in Acts.” International Journal of Frontier Missions 21:4 (Winter 2004), p.156. Additionally, I asked Kevin to read this article and critique it, which he was gracious enough to do. He provided some valuable comments, some of which I’ve incorporated into the article. 2) Gary Corwin writes about the disagreement in the mission community: “The debate…is not about culture or the need to fully contextualize to accommodate all the cultural nuances that are not prohibited by the Bible. The debate is about theology: discerning and being faithful to those things that cannot be biblically accommodated” (Corwin, “Muslim Ministry in the Days Ahead: Two Fault Lines, Two Favorable Winds” in Envisioning Effective Ministry: Evangelism in a Muslim Context. Laurie Fortunak Nichols and Gary R. Corwin, eds. (Wheaton: EMIS, 2010), p. 282.). I agree the debate is not simply about contextualization, but contextualization run amok, which I attribute to problematic theology. 4) I am unaware of any proponent of IM who disregards the Bible as the fundamental book from which the principles of IM are derived. In fact the pro-IMers argue their methodology is thoroughly biblical and provide much in the way of biblical exegesis to support it. For such support, see Rebecca Lewis, “The Integrity of the Gospel and Insider Movements.” IJFM 27:1 (Spring 2010) pp. 41-48. J. Dudley Woodberry, “To the Muslim I Became a Muslim?” IJFM 24:1 (Winter 2007), pp. 24-28. Kevin Higgins, “Acts 15 and Insider Movements Among Muslims: Questions, Process and Conclusions.” IJFM 24:1 (Winter 2007), pp. 29-40. That I disagree with much of the hermeneutic is not the issue here. 7) I appreciate Kevin Higgins’ input here; I believe the caution is necessary. To read a proponent of IM who does believe Islam may be reformed, reshaped or redeemed (as if it were simply a biblical heresy that needed correction), see Rebecca Lewis, “Insider Movements: Honoring God-Given Identity and Community” IJFM 26:1 (Spring 2009), p. 19, in which she writes: “So how can we emphasize the gospel, not religious conversion? How can we encourage the gospel to take root within their God-given [Islamic] communities, redeeming and transforming them?” I realize Lewis is speaking of communities (since she believes Islam is a cultural phenomenon), but if the culture is inseparable from the religion (a well-known premise of IM according to John Travis), to reform the Islamic community means to reform the religion Islam. 8) Both IM and Historicals desire Muslims to know Christ, to be enfolded into the Church, and to experience new life and growth in Christ. The “how we do that” is the area of disagreement; however, I must add, I have met at least one person who identified himself with the IM who, when asked if he agreed with our mutual desire to see Muslims know Christ, enfolded into the Church and experience new life and growth in Christ, hemmed and hawed, wanting to know what I meant by “Church.” I was unable to get a straight yes or no from him when I repeated the question again. This is an extreme example that in no way reflects the vast majority of IM. 9) Higgins pointed out in my original draft that I implied the IM does not use the Bible as the building block of its methodology, something with which he strongly disagreed. He made the point that our difference is not in using Scripture, but our hermeneutics. I am grateful for his point here and have corrected the paragraph to reflect his contribution. 10) Higgins disagreed completely with this statement saying he does not think of Historicals in this manner. I have left it as is since I am trying to speak in generalities rather than of specific people. 11) Higgins wrote: “But I would suggest strongly that they do NOT accurately reflect both sides.” Again, I have left my statement as is only to show that we even disagree where the disagreements are concerned! What better reason to come together in Christian love and charity for the purpose of truth and unity? 13) Higgins did not agree with this statement. Although I appreciate the personal sentiment, I believe he speaks only for himself, not for the wide continuum of IM. 15) Higgins thought this was an overstatement. I believe that we not seem to disagree over what some of issues are, but the significance of the disagreement. Am following this discussion to some extent and have to say that I DID find your article helpful. As I have followed and interacted with the IM issue over the past two years, it seems that one very important determining factor (in terms of receptivity to/embrace of IM) is what one really believes about Islam and about the church. It seems that certain affirmations, while important, do not get to the heart of what people actually believe. For example, it is very possible for people to deny the prophethood of Muhammad but believe that Islam, properly understood, is essentially a deficient form of Christianity. 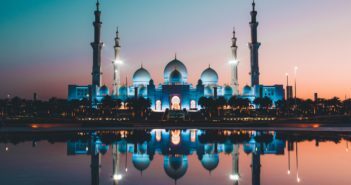 What is at heart here is not only a set of assumptions or convictions concerning Islam but a certain understanding of “Kingdom” and “church.” All of this ties into the Kingdom Circles idea used by Becky Lewis, the Common Path Alliance, and others. When I wrote the article I didn’t quite expect the response I’ve gotten. Two proponents of IM have agreed with me and a vocal opponent of IM thought I sterilized the issue by removing the importance of the Bible and making it a matter of intellectual issues (I’m still struggling with understanding exactly what he meant; I guess I’m not as intellectual as he may have thought). So rather than respond point by point to any comments, let me simply speak to why I wrote the article and created the graph. My purpose for this paper was clarity. I also stated I expected criticism from both sides. Allow me to eat crow. Apparently I have neither clarified the issues nor have I received criticism from both sides! I’m chuckling here. It is embarrassing, to be sure, to be completely wrong and then have to admit it. I’m doing that here. It is also a matter of amusement to me because my ego is less sensitive than even I thought it was. Again, for the sake of clarity: I apologize for muddying the waters. I apologize for getting it wrong. Ironically, I am still convinced the major issues in our disagreement is how we view Islam (theologically and sociologically) and the gospel (how and what we preach). I am glad that you repeatedly state that these polar opposites are not representative of actual people. Let me make clear (since you interpret my position) that I think Islam is every bit as demonic as any worldview or religion that promises salvation apart from Christ. Having grown up in a Christo-pagan tribe in Central America I am under no delusion about what happens when people adopt a facade of Christianity (C1-type Catholicism in “my” valley) but have little or no understanding of the Gospel. My concern is that we do not deliver a corrupted understanding of the Gospel, that promises salvation through adopting Christianity (whether Catholic or Protestant) at the expense of an unadulterated allegiance to Jesus Christ. As such, I take the position I do out of kerygmatic concerns, not pragmatic, and out of pessimism about Islam but a great optimism about the power of the Gospel to bring light, whether in cannibalistic tribes, Christo-pagan religions, the Greek pantheon, or our own mammon-steeped American culture (without having to remove believers from their families or community context). So I guess by your graph I am more of a “Historical” or “Traditional” person, since my own parents and other missionaries have been convinced of the same for generations, as they have gone into areas with equally demonic and entrenched religions (even if they were not “global” religions). I believe that the Gospel has not lost its power to penetrate, because I have seen it transform equally difficult situations and societies. Thanks Salaam. I checked the site you recommended and it looks like common sense to me! Although my essay is not meant to stand as a corrective or piece of persuasion but of clarification, the other chart does help us keep a proper perspective. I like the notion that the smaller our area of “We gotta fix this” the greater our effectiveness. I wonder, Douglas if this grid would also weigh in on your discussion with Jeff? Having reread your reply to me, I have to ask: do you believe you have clarified the issue? You have stated with precision an intellectual description as you see it. That does not clarify the issue. It does seem to have sterilized the issue of its biblical relevance. From my point of view, biblical relevance is the issue, not an objectification of intellectual divergences. Ultimately, the willingness to syncretize Scripture is without question a spiritual issue that rests squarely within the matter of the headship of Christ and his word. You have it backwards. The intellectual has a defacto spiritual predisposition. To write as you have without the salience of the supremacy of God’s word and our obligation to accord ourselves with it as fundamental to the issue makes the issue as you describe it less than on point. The result is the tacit validation of spiritual waywardness like that of those whose waywardness is well documented on this website. Syncretism is what you have coddled in the upshot of your article. Good Morning from Rwanda Jeff. Your reply brings up several things but within the constraints of this morning’s time I’ll say, it also could be like the message has been shot by the messenger, and that is not to my liking. Doug, it’s pretty hard to offend me; it would take a hammer – several times. I disagree that clarifying the issues is equivalent to tacit validation. That’s like saying, “I understand you are tired” to a marathon runner is equivalent to saying, “I believe you did the right thing running the marathon.” The former is an observation; the latter a moral judgment. Certainly there’s a difference. So, what should be argued is whether or not my two poles accurately reflect the theological and missiological divide between the insider movements and the Historical perspective. If they do, great; clarity is the goal after all. But if they are inadequate, fine; what are the issues at hand? Otherwise, it’s like shooting the messenger because the message is not to one’s liking. “Everyone who goes on ahead and does not abide in the teaching of Christ, does not have God. Whoever abides in the teaching has both the Father and the Son. If anyone comes to you and does not bring this teaching, do not receive him into your house or give him any greeting, for whoever greets him takes part in his wicked works” (2 John v.v. 9-11). The Docetic teaching in the mind of the apostle was an assault on salvation’s filial component of the Father and the incarnate Son. Those whose practical theology is no less destructive, who are quite eager to fore go the truth preferring instead to be “nuanced” and “generous with Jesus” find validation in your piece. Again, please forgive the strength of my objection. It is meant to broaden the context of this discussion to provide an element of discomfort for those who might derive from it a false sense of validation. This is one of the clearest expositions of “both sides” I’ve seen. Thanks for your work and, at least, attempting to remain unbiased as a good journalist would do. Well done!